Sleeping on your back is not the most common position, but for for the majority who do, it's the most beneficial to your health. This position permits your back and spine to remain straight and keeps your neck in a neutral position. Back sleeping can alleviate pressure points sometimes associated with side or stomach sleeping. It's estimated only between 8 - 10 % of the population actually spends their nights this way. If you are among those who do, there are a few key things to keep in mind when choosing a mattress. Who can benefit from sleeping on their backs? Sleeping on your back reduces the symptoms of acid reflux. People with this condition should take note, it's important to keep your head elevated above your stomach. Use of multiple pillows will help create a higher incline but, be sure there is a level slope down to your hips. Otherwise, extra strain is put on the neck and shoulders. This may cause pressure on the abdomen; actually prompting reflux symptoms. A therapeutic wedge pillow is ideal for elevating the head at the proper incline. According to Medscape.com, most studies suggest that the ideal height of head elevation is at least 6-8 inches. This height is medically proven to prevent acid reflux when lying down. As an extra bonus, back sleeping causes less facial wrinkles than any other sleep position. Lying on your back puts less pressure on your face and results in fewer visible fine lines. Sleeping face up does not allow fluid to accumulate under your eyes. You'll wake up feeling good and looking great! Who should not sleep on their back? Sleep apnea sufferers should avoid sleeping on their backs. This position on causes your tongue to block your esophagus and impede proper breathing. The condition can be quite dangerous. If you are prone to snoring, back sleeping will tend to exasperate this condition as well. If you find you can not avoid this position, keeping your head elevated will ease symptoms somewhat. During pregnancy, it’s generally recommended women avoid sleeping on their backs. Although typically considered safe early on, after the first trimester, back sleeping can cause avoidable issues. Notable problems are backaches, breathing issues, digestive complications and low blood pressure. Side sleeping is recommended after the first trimester. More specifically, the American Pregnancy Association recommends sleeping on your left side. This position allows an increased amount of blood and nutrients to reach the placenta and your baby. It's important to note, back pain during pregnancy results from a variety of factors. Causes and treatments should always be discussed with your physician. What mattress is best for back sleepers? Whether you prefer a traditional coil spring, memory foam, latex or hybrid feel, proper support is essential. A mattress that is too soft will cause you to sink too far; putting your spine out of proper alignment. Conversely, a bed that is too firm will cause pain from unwanted pressure on the joints. Your body isn't perfectly flat, your mattress should not be either. A medium firm mattress is generally a good place to start. Firm, but with enough contouring for comfort. Of course, no two body types are alike and no two mattresses feel exactly the same. That said, most back sleepers find their comfort zone in or around this area. Saatva's unique coil on coil construction provides outstanding support. 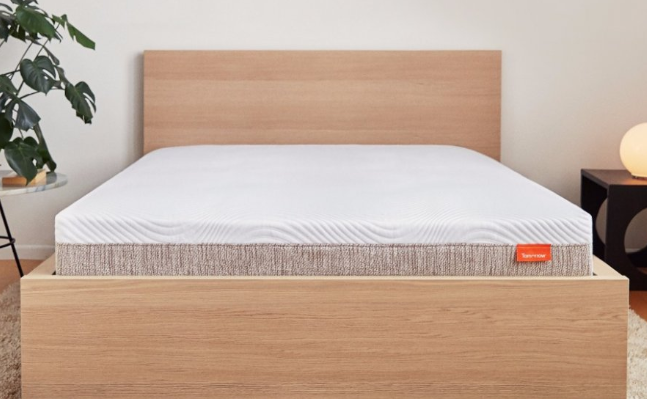 Although available in three different firmness levels, we recommend the Luxury Firm for the majority of back sleepers. It's firm but, with just the right amount of conformity and pressure relief for your spine. For those who genuinely prefer a harder sleep surface, the Firm would be your choice. Tomorrow Sleep is an exceptional hybrid mattress that combines high density memory foam with a quality individually pocketed coil system. We recommend the Medium Firm. Our trial of this mattress found it to be pressure relieving, supportive and ideal for back sleepers. Backed by Serta Simmons, Tomorrow is designed to sleep cool and comfortable. Eco Terra's exceptional hybrid mattress combines natural latex with an individually pocketed coil unit. The combination sleeps cool and offers great support. Natural Latex has no off gassing and creates a buoyant floating sensation. This mattress is made in both a Medium Firm and a Medium. We recommend the Medium Firm for most back sleepers. You'll find just the right amount of pressure relief and alignment. 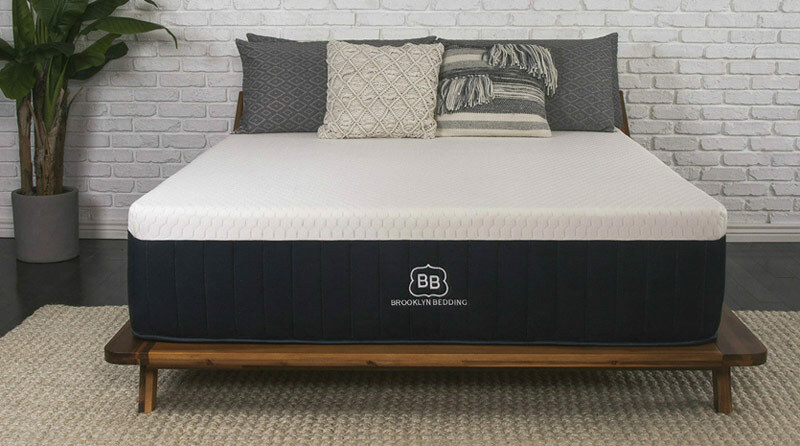 The Brooklyn Signature (Best Bed Ever) by Brooklyn Bedding is hybrid mattress that features TitanFlex foam technology and a solid Ascension pocketed coil unit. Cool sleeping with a little bit of bounce, TitanFlex has characteristics similar to latex. Our recommendation is the Medium or Firm for back sleepers. Each will offer the same support; it's more a personal firmness preference. If you spend part of your night rotating to your side, consider the medium for greater pressure relief. The KAYA Sleep mattress uses a robust 1,000 + individually pocketed coils with high density memory foam. The Medium Firm feel is Just the right blend of support and softness. KAYA's new quality hybrid allows for proper alignment while reducing pressure points. In terms of comfort and support, we found this mattress to be ideal for back sleepers. Although the competition was steep, KAYA Sleep is our top pick in this category. A queen mattress is priced under $2,000 and the value far exceeds expectations. If you think luxury can't come rolled in a box, you need to take a closer look at the Brooklyn Aurora hybrid. 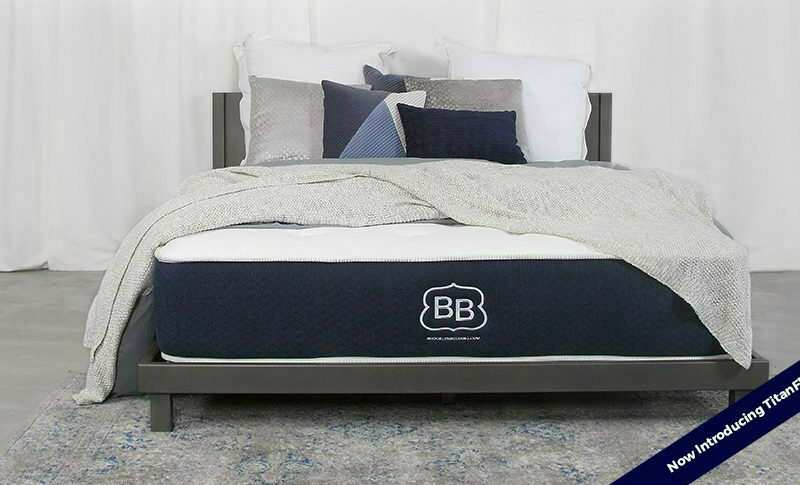 Brooklyn bedding's latest introduction is turning heads in the bedding industry. The Aurora uses TitanFlex technology foam, combined with a quality pocketed coil system. This mattress has the look and feel of retail offerings costing twice as much. The Aurora comes in three comfort feels. We recommend the medium for back sleeping comfort and support. WinkBeds utilizes a dual coil support system. Combined with a Hyper Soft Gel foam, this mattress offers great conformity and support. Tinsel covering creates a natural wicking action that makes WinkBeds sleep cool and comfortable. Although now available in three comfort feels, our choice for back sleepers is the original Medium Firm option. This mattress provides proper alignment with the right amount of conformity. WinkBeds has luxury specs and feel at a price well below similar retail offerings. 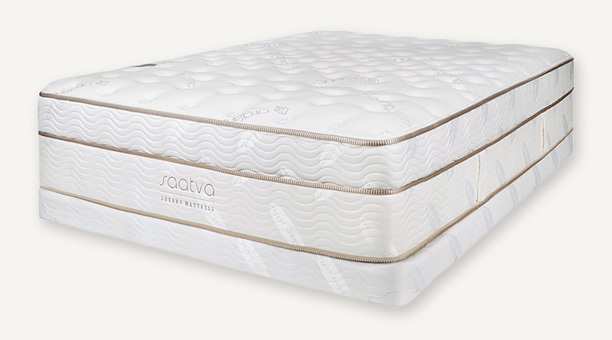 Zenhaven's all Natural Talaly Latex mattress offers a feel quite different and from a traditional coil spring. This mattress offers superior support without pressure points. Unlike memory foam, natural latex is buoyant and creates a sensation of sleeping on the mattress, not in it. Talalay also has no off gassing and naturally sleeps cooler than memory foam. 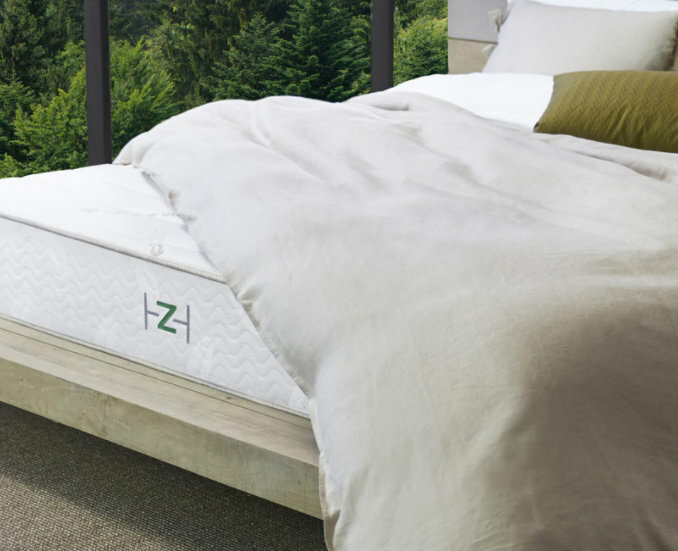 Zenhaven has two comfort options in one mattress. On one side, a gentle firm, ideal for most back sleepers. On the other, a luxury plush for side sleepers seeking more conformity for shoulders and hips. 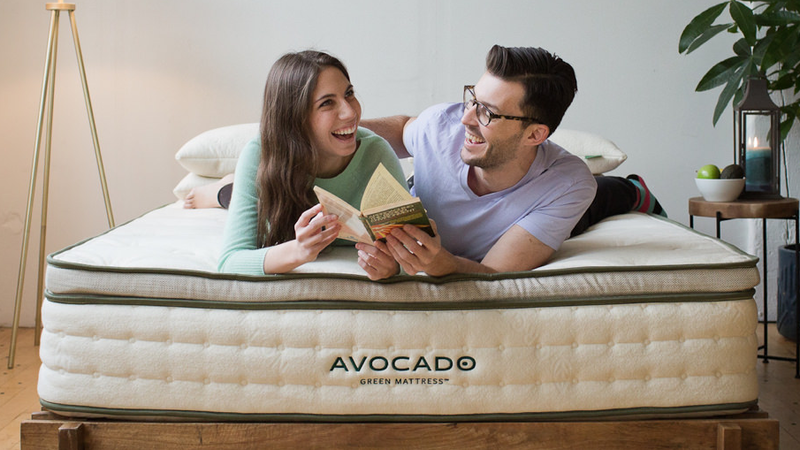 If you are looking for a quality mattress with a natural organic story to tell, check out Avocado Green Mattress! Avocado combines Natural Dunlop Latex with over 1,000 individually pocketed coils. The button-tufted organic cotton cover requires no glues or adhesives like most mattresses. This eliminates the trampoline effect that commonly occurs in most beds. Wool acts as a natural flame barrier. No toxic fire retardant chemicals are used. For back sleepers, the Standard (Gentle Firm) provides a perfect blend of support and pressure relief. Spindle is an all Natural dunlop latex mattress. The feel is truly unique and unlike a traditional coil spring. Dunlop latex creates the feeling of floating on top of the bed. It has more bounce and sleeps cooler than memory foam. Being all natural, Spindle has no off gassing. Spindle is one of the best priced natural latex beds on the market. There is some simple assembly involved. The big positive is you can arrange latex layers to the desired firmness level. You can rearrange if necessary. Customization is key with Spindle!